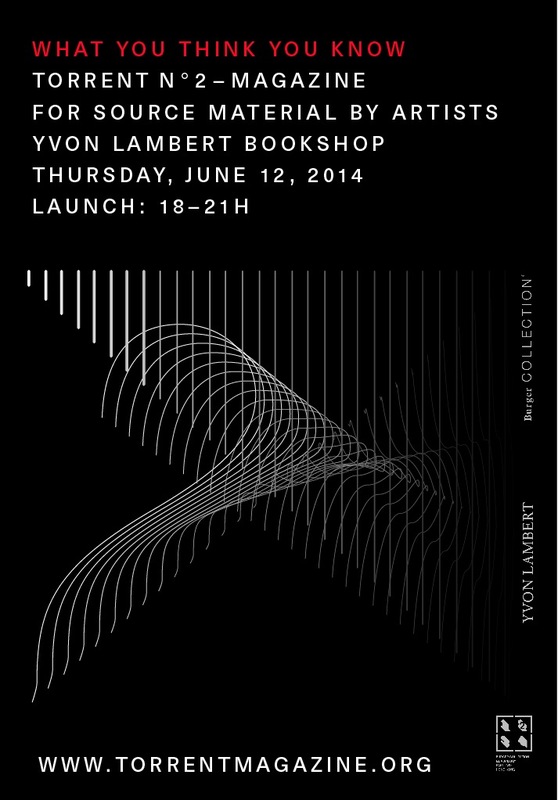 This coming Thursday, on June 12 from 6-9 pm, is the launch event of Torrent magazine at the Yvon Lambert Bookshop in Paris. Come celebrate with us the newly published issue of Torrent No. 2, magazine for source material by artists, with contributions by Robert Storr, Florian Germann, Muhanned Cader and more. This will be an evening to browse through publications at the bookshop, listen to some groovy tunes and share a glass with the editors and artists present. Refreshments served, and live DJ! 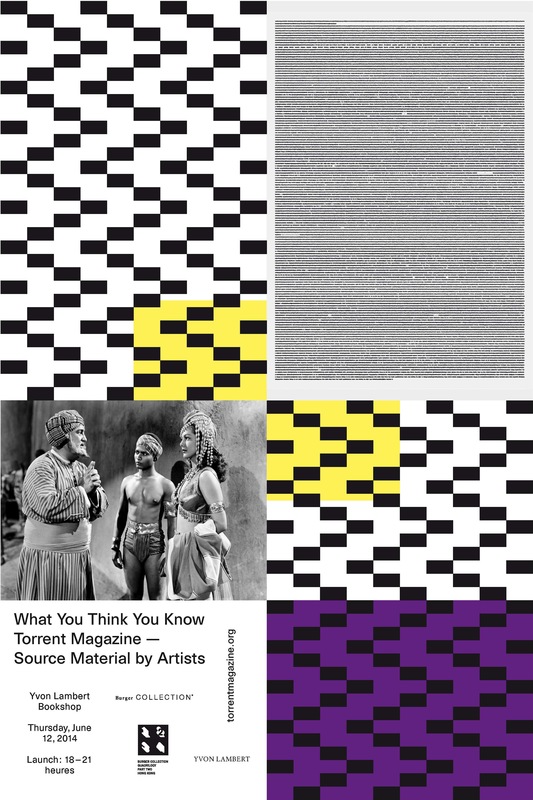 The magazine Torrent unearths source material in a poetic way, and de-centers the idea of a “work”. Here a kind of reversal is at stake between the objectified aesthetic entity on one hand, and subtexts, informational noise, or potential extra-narratives on the other. There’s a foundational “trick” performed in the magazine: Individual works dealt with in Torrent are actually never reproduced (e.g. a white cube ‘full view’ shot), and rather articulated through a fragmentary montage of image and word. It’s all a big detour into the “underground” of art, something which, among various other artists, Duchamp has also been talking about.